Whether you like it or not the time will eventually come for your child to drive. While your nerves might be on edge as your child makes her way on the road, your pocketbook can take a hurting, too. It’s important to realize what kind of costs you are going to incur before it’s time to send your child off to learn how to drive. Here are some of the most common expenses you will come across as your child becomes driving age. First on the list is driver’s education. It’s been awhile since I took a driver’s education class but I can still remember my parents talking about how expensive it was. A driver’s education class usually consists of classroom sessions teaching new driver’s basic laws and safety regulations and also time driving with a driver’s instructor. In addition your child will be required to have a certain number of hours in driving experience with a licensed driver or trainer before taking a driver’s test. Call and find out how much driver’s education will be at least a few months in advance so that you can prepare for this cost. You should be able to find at least a couple different courses in your area that you can compare. Getting insurance for a driver with a permit varies from region to region. Some insurance companies don’t require you to add an unlicensed permitted driver while others do. And, some companies will want you to get special insurance for an unlicensed driver. Check with your insurance agent for the rules and regulations in your area. 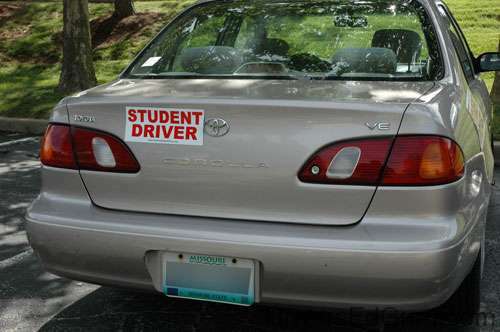 If you need to get learner’s drivers insurance check out insurelearnerdriver.co.uk where you can get learners drivers insurance for a specified period of time at a great price. When your child is ready to drive you’ll also be faced with the question of whether or not to purchase your child a car. Since this is usually a huge cost you’ll want to save in advance or have your child pick up a part time job to help contribute to the cost of a car. Even if you don’t purchase your child a new car you’re still going to have to factor in maintenance and fuel costs. A child with a learner’s permit will need to spend a certain amount of time driving to gain experience and since fuel is getting increasingly expensive this can be a big cost. If your child will be sharing a vehicle with another family member the cost of maintenance will also go up. Oil changes, new tires, and other routine maintenance will need to be increased. Incidentially, I like Costco for tires. Costco has excellent service and they inflate their tires with nitrogen, which results in good long term tire pressure. Becoming driving age is an extremely exciting time for a child and a nerve wracking time for parents. Aside from worrying about your child being on the road you’ll also need to think about the associated costs. If your child is approaching driver’s age it’s important for you to plan in advance and consider the costs you will incur. What else do you think about when your child is learning to drive?